If you’re not familiar with Bulova, you should be. This New York-based watchmaker has been quite innovative over the years, making Swiss-made watches that offered legendary performance, including Accutron watches, the first true electronic timepiece. They’re also marketing pioneers; the first television commercial ever was an ad by Bulova. The company today offers a wide variety of timepieces, and they are now owned by Japanese watchmaking giant Citizen. 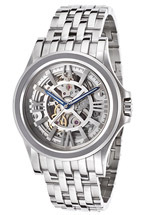 The company offers a number of product lines and Accutron watches is now a subset of the company’s main products, offering a nice selection of mid-priced automatic and electronic models with restrained, tasteful styling. If you’re looking for a high quality timepiece, you should definitely consider Accutron watches by Bulova. Read on for the full Accutron watches review. The build quality watches is quite good; the company uses stainless steel cases and high-quality, scratch-resistant sapphire crystal to protect the watch face. Water resistance is good; we noted several models rated at 100 meters or better. Despite being a Japanese-owned American company, these timepiece are Swiss-made, and come with the high quality that one would expect from the world’s most famous watchmaking country. 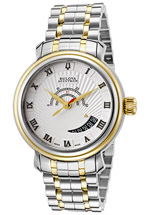 When one hears “Accutron watches”, one would logically think electronic movements would be the norm, but the current line includes both Swiss-made quartz electronic movements as well as Swiss-made automatic movements as the name now reflects a brand more than it does a specific type of timepiece. That said, these are all well made, high quality, accurate timepieces that continue the tradition established by the original model. Introduced in 1960, the original models featured a tuning fork that vibrated at 360 hertz, and were the first timepieces to use electronic timing to maintain accuracy. Those early models became quite famous and they sell for substantial sums of money today among collectors. While the original tuning fork models went out of production years ago, current designs are intended to remind buyers of the highly accurate and prestigious nature of the famous name. The styling is largely traditional, with gold and silver colored cases and metal bracelets. A few models show some daring designs, however, especially their Amerigo line and their Kirkwood “skeleton” models. 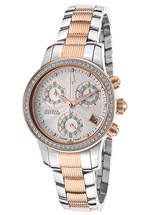 A few models feature crystals and rose gold, and they offer a few sporty models with chronograph features. 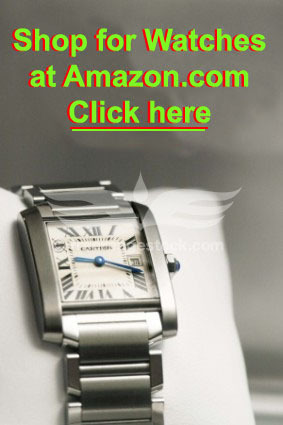 These watches are suitable for daily wear, business wear, and evening wear, depending on the model. Displays are all analog, and a few models feature date complications as well as some unusual, non-standard face designs. While you’re not going to see a lot of bold colors in the product line, these are nice looking, austere watches that will look great for any occasion. The care and maintenance will depend on which model you buy. Quartz-powered models require relatively little care; you will need to have the battery changed every two years or so. That’s a good time to have the watertight seals replaced, in order to ensure that the watch retains its water-resistance. Automatic models should be checked by an authorized dealer or the factory every three to five years to ensure that the watch continues to run properly. It may be necessary at that time to have the watch serviced and cleaned. With proper care, you’ll find that these watches will run well for many years with few, if any, problems. The warranty is better than most; the company offers a three year warranty from the date of purchase against defects in materials and craftsmanship. We’ve found that most companies only offer a two year warranty, so this one is unusual and probably unnecessary, as the company tests their products thoroughly prior to shipping. Defects are quite rare. As luxury timepiece prices go, you’ll find that prices are moderate. List prices range from about $500 to $2000 or so; compared to many luxury brands, these are affordable watches. We’ve also seen the brand offered at a discount by a number of retailers, particularly those online, so it’s worth taking a look on the Web before you seek out a brick and mortar retailer. There’s a bit of collector interest in this brand, particularly the older, tuning-fork models, but they’re not yet highly collectible, so don’t buy one today expecting to see huge price appreciation in the near future. On the other hand, they’re well-made timepieces that offer good looks and great performance at an acceptable price point. You can find the brand for sale at a number of retailers, both in brick and mortar stores and online. Brick and mortar locations are going to include both finer department stores and jewelers. You’ll find a number of Internet retailers offering them for sale, and that’s your best bet if you want to save money with a discount. We’ve seen some retailers online offering them for as much as 80% off of the suggested list price, so it’s worth checking out. There’s a lot to like about this classic brand. They’re well made, they come from a company with a strong history of watchmaking and innovation, and they carry the name made famous by a legendary timepiece that still draws a lot of attention today. They make models for both men and women and those models are available in a variety of styles that are suitable for both daily wear and special occasions. Fans of both quartz watches and mechanical models with complications should be happy with the selection, and the pricing is moderate and unlikely to break your bank. If you’re looking for something attractive but not over the top that includes good build quality and legendary precision, we think you’d do well to consider Accutron watches before making your next timepiece purchase.